Lots of readers liked the American cover. I prefer this one. 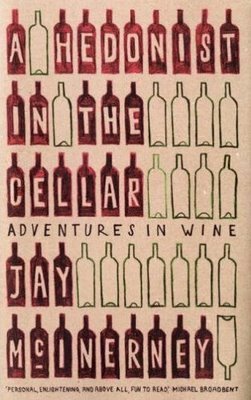 My guess is that the UK cover will work well for those readers who are interested (and informed of) the here-and-now, but the US cover works for those readers who feel they need a tinge of history (or the sense of historical continuity that is curious to North American sensibility) when they read about wine. Chalk it up to cultural perceptions. Me? Being North American, I crave anything that suggests a continuum with history, so I prefer the American cover, but I do appreciate the design of the UK version.